Ultimate Ears is probably more recognized by its successful UE Boom line of Bluetooth speakers. 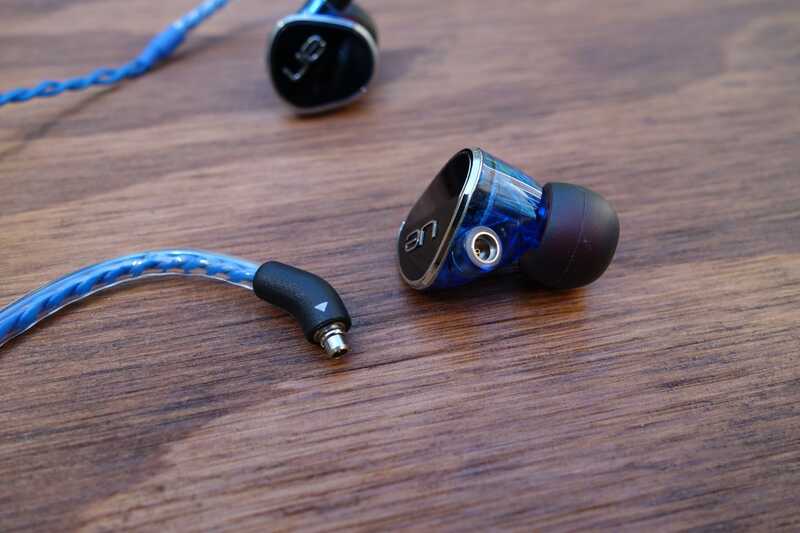 But the company actually started out in the niche market of high-end custom in-ear monitors (IEMs). That fortunately still continues today. 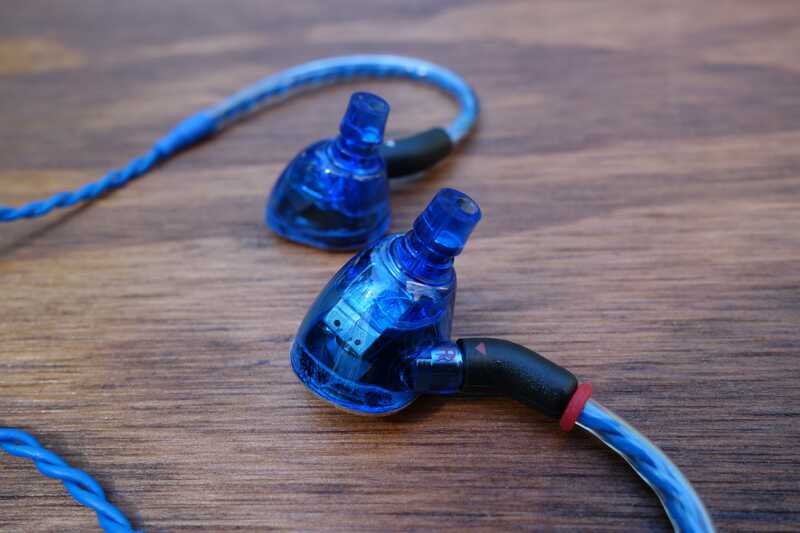 While the main Ultimate Ears webpage headlines its speaker devices, you’ll be able to find a portal to the manufacturer’s “Pro” page, where its custom IEM practice is alive and well. But that isn’t what we’re reviewing today. 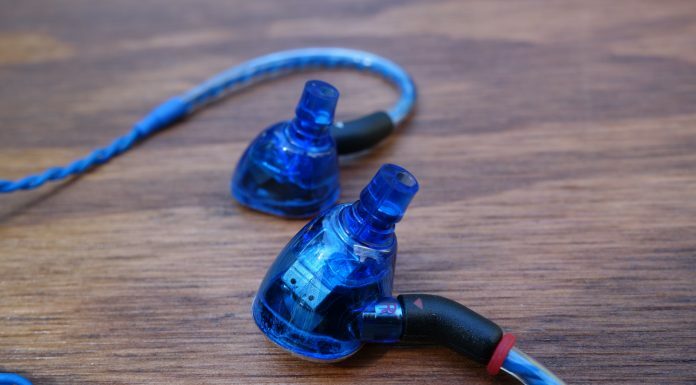 Ultimate Ears doesn’t forget about the more traditional universal in-ear that most people are comfortable with. 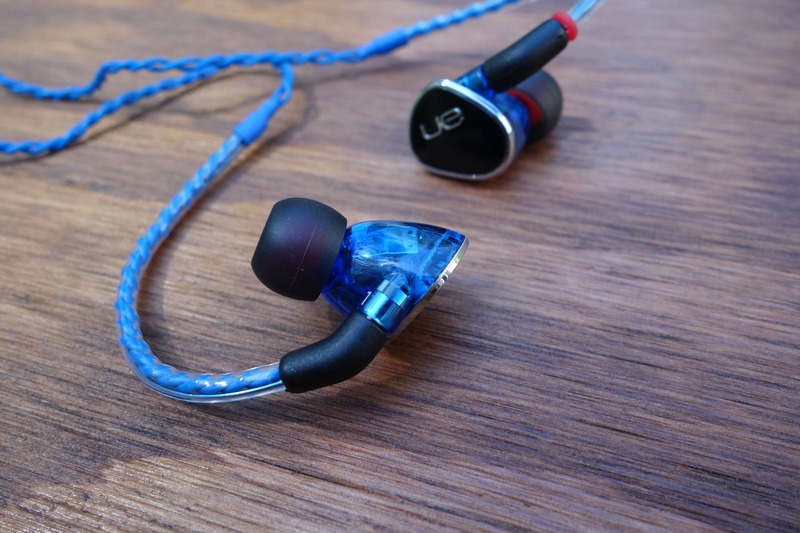 Our friends over there were kind enough to let us sample its latest model – the UE 900s. 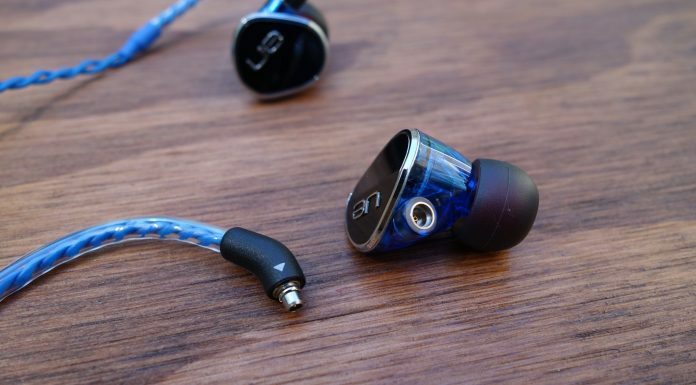 Let’s find out if it can stand out from the crowd and maintain Ultimate Ear’s audio prowess. 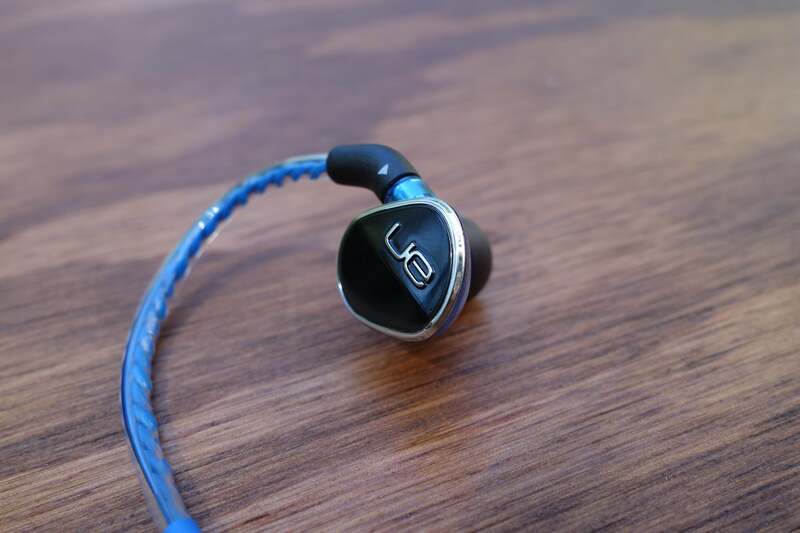 The UE900 is quite a unique looking earphone. As soon as you unpack it, you’ll receive an eyeful of blue. Its braided cable is not shy whatsoever; it dominates the presentation. I will say that you have to have a taste for it. I know many users prefer a non-flashy headphone. The earpieces are a bit more understated, but still look cool. They have a triangular shape and the construction is two-piece between a transparent, blue plastic shell and a glossy black cap. The cap bears the UE logo and a nice silver trim. 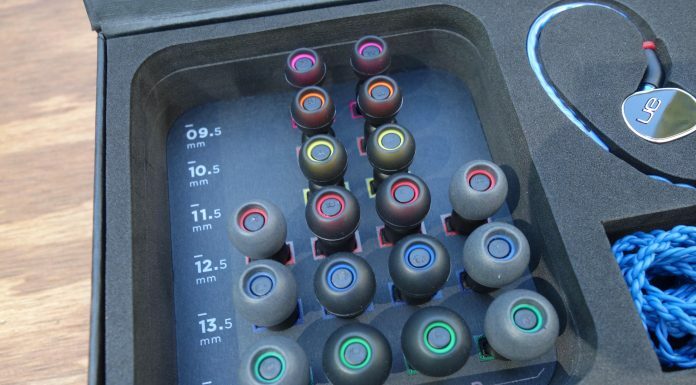 The transparency allows you to peek at the tiny driver electronics within. I love when manufacturers to this. It’s a subtle touch that looks neat and allows the earphones to speak for themselves. That said, I wasn’t very impressed with the plastic material. It feels cheap in-hand. It’s good that it makes the UE900s super lightweight, but I question the durability. Also, at the sizable price, I’d expect more premium considerations. Removing the eartip shows a fairly typical nozzle. Except, if you look closely, the nozzle bore isn’t so standard. Instead of one large hole, there is a large and a small one. 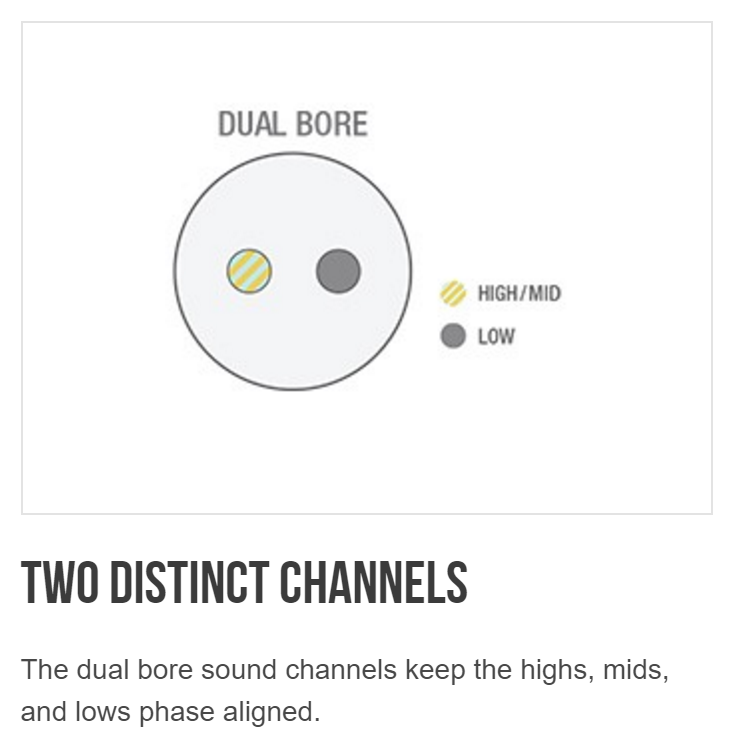 Ultimate Ear’s design choice was to separate the high/mid and the low-end frequency streams. The UE900s use a system of quad balanced armature drivers: one for highs, one for mids, and two for lows (sub-bass and bass). So you essentially have two drivers outputting out of each bore, which seems like a good way to do things. 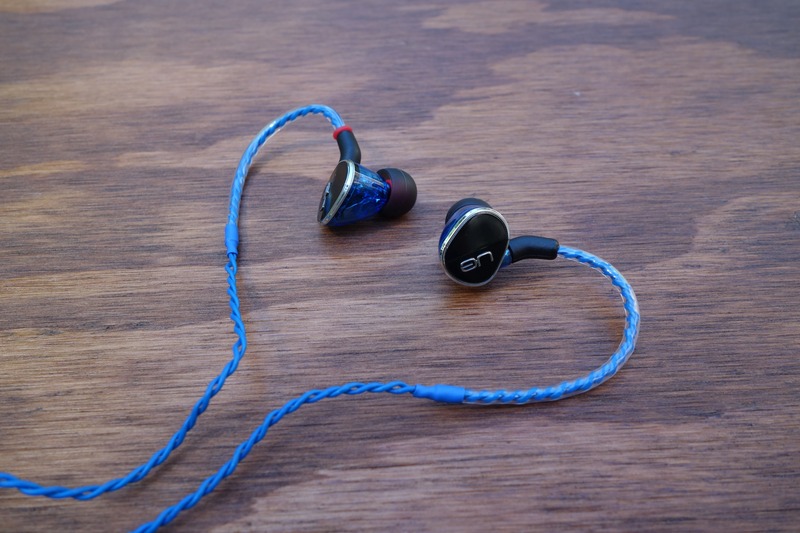 I’m glad to report that Ultimate Ears included detachability in the UE900s’ design. 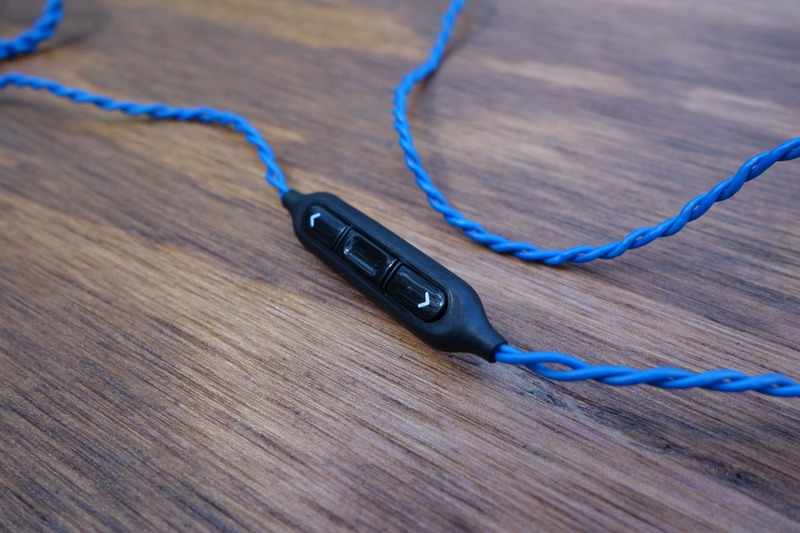 The earpieces use an efficient MMCX connection, so you can easily pop them off the cable. The benefit of this capability is that you can switch to a different cable (there are lots of third-party MMCX cables) or replace the stock one if it goes bad (instead of having to replace the headphones). The cable is also lightweight. Two very thin cables braid out of each earpiece, then they combine at the y-split (which is just a shrink-wrapped plastic strip). It’s a simple but interesting look. Down the right earpiece, there’s an in-line remote/mic unit. 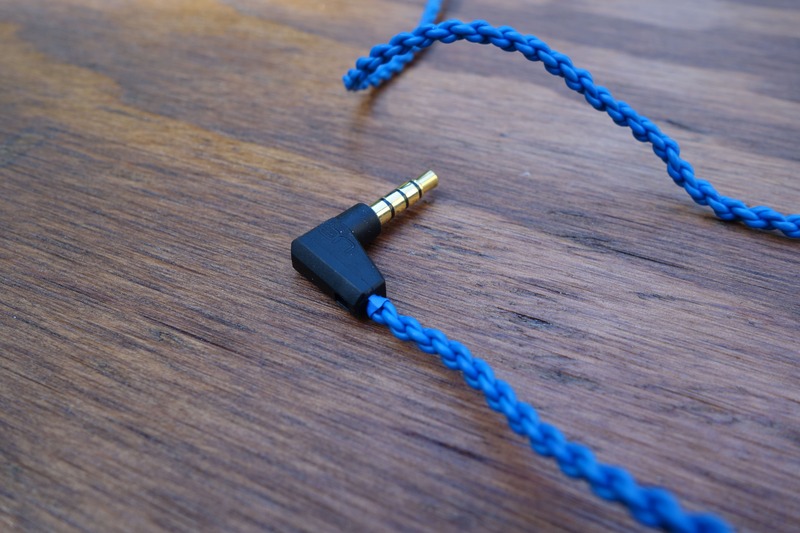 Ultimate Ears also includes a detachable clip, if you want to keep things tidy. The end of the wire is terminated by a standard-looking, right angle 3.5mm jack. 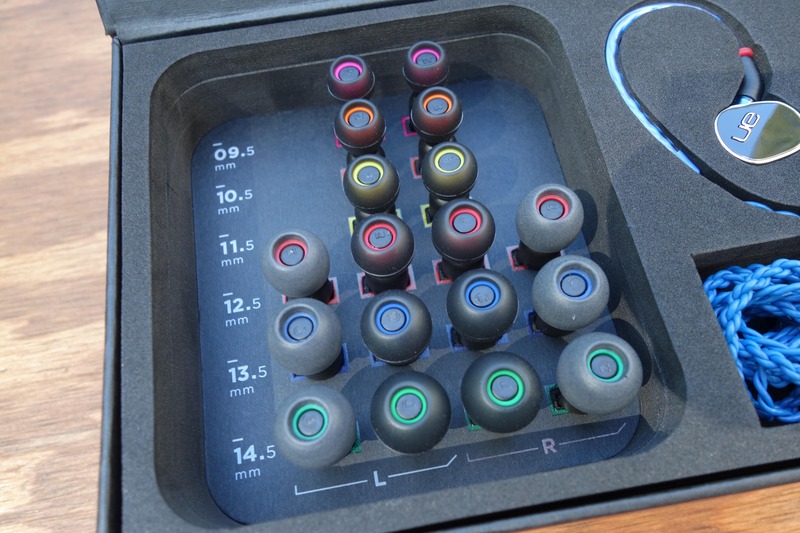 I was impressed with the range of eartips that Ultimate Ears packed. There are a whopping six different sizes. What’s more, three of those also include foam tips. This is very considerate, and you should have no problem finding a suitable fit. Though, it’s interesting that the tips don’t have a protective mesh, to catch ear wax that tries to get inside the nozzle. I’m guessing that UE forewent them because the bores are thin, but I’m still suspicious. I found the fit of the UE900s to be satisfyingly comfy. If you haven’t been introduced to this type of wear, upon donning the earpieces, you route the cable around and down your ear. Many high-end earphones follow this design, as it’s a more secure fit and reduces microphonics (noise from the cable rubbing on you). This also means that a short section from the earpiece is wrapped with stiff plastic. This “memory wire” is meant to help guide the cable nicely around your ear. Some can be thick and annoying, but I like UE’s implementation. It’s not uncomfortable and maintains its shape really well. The downside of the braided cable is that it’s not tangle-resistant. Quite the opposite, actually. It tangles really easily. At least UE didn’t skimp on the length. You’ll get about 15″ from the end of the memory wire to the y-split, and then 33″ to the jack. The playback remote is fairly standard. You have three buttons – the middle is play/pause and the top and bottom can change the track or volume. Holding down the middle button will also toggle the mobile device’s voice function (i.e. Google Now). Regarding usability, I think the buttons could be better defined. It’s kind of hard to tell them apart (you can’t see it with the headphones on). But that’s something you can get used to. In my mind, the UE900s has a lot to live up to. 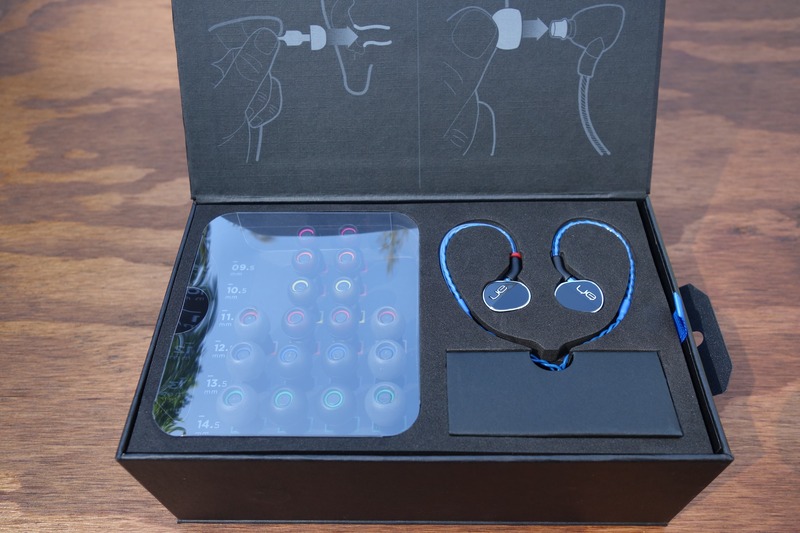 This is mostly because of the brand name that it carries (Ultimate Ears has positioned its name to mean excellence), but also because it’s the only universal in-ear in the company’s lineup. 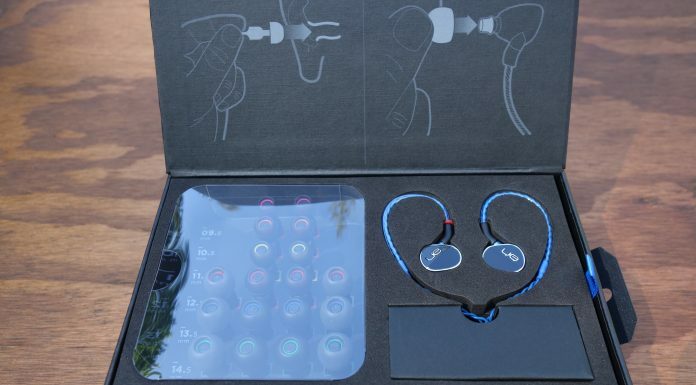 It has to justify its existence among a slew of intimidating custom IEMs. 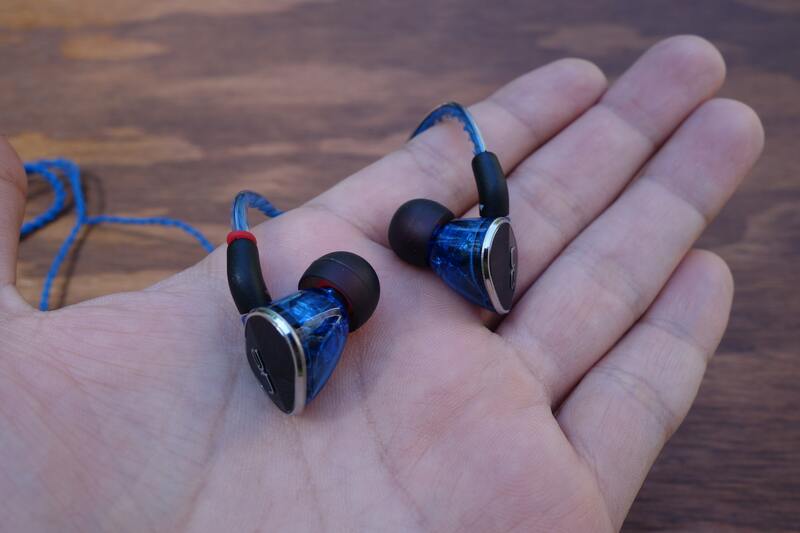 In short, the UE900s make me a believer. There’s a lot of satisfaction to be found in this sound. One of the first things that stood out to me was the imaging. Despite being an in-ear, different elements of the sound manage to have clear variation of placement within the simulated space. 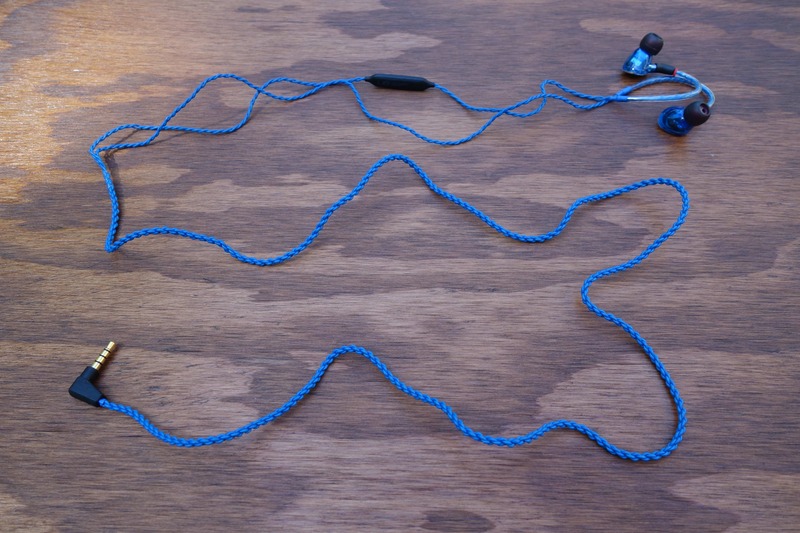 Sure, most high-end earphones do this to an extent. But on the UE900s, the imaging also has depth. It feels like the sounds echo and fill the space, making the listening experience satisfyingly encompassing. I own a couple high-end earphones, and likewise, get the sense that Ultimate Ears knows what its doing. From an audiophile-grade perspective, I wouldn’t say that this is perfection. The soundstage (perceived distancing of sounds) could be wider, and the mid-range could be stronger. But gawd are these engaging and fun. 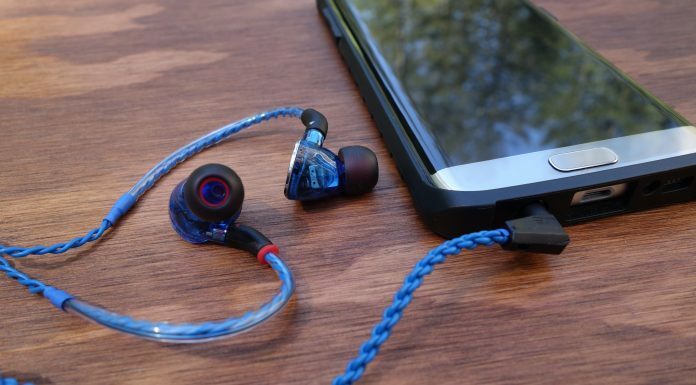 The UE900s’ treble is magnificent. It’s prominent, clear, and highly detailed. The bass is also good, but I feel like it could be a mixed bag for people. It has an emphasized oomph that will satisfy bassheads, but it can lean on boomy territory (risking definition for impact). So to my ears, it can steal some spotlight from the mids, making the sound signature slightly V-shaped. But with all this said, I feel like the UE900s’ skillful audio delivery makes up for it. When I stop being analytical and just listen, it’s one of the most satisfying reproductions I’ve heard. The UE900s aren’t perfect, but I feel like they do much more right than wrong – and what they do right is bangin’. Its audio quality brings UE’s expertise and delivers a super enjoyable listening experience. The fit and detachable cable considerations are also great things. 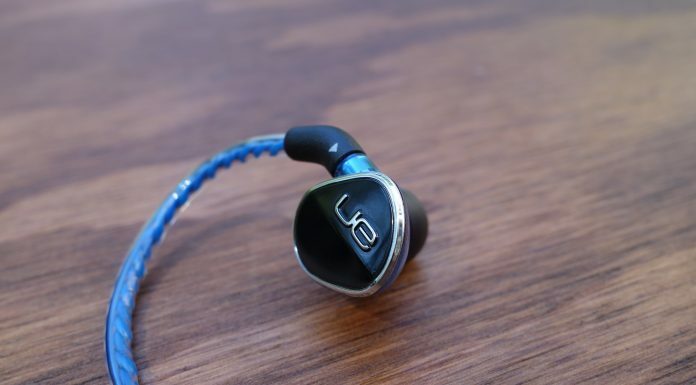 I certainly feel like the UE900s are worth the price (currently at $279 on Amazon). 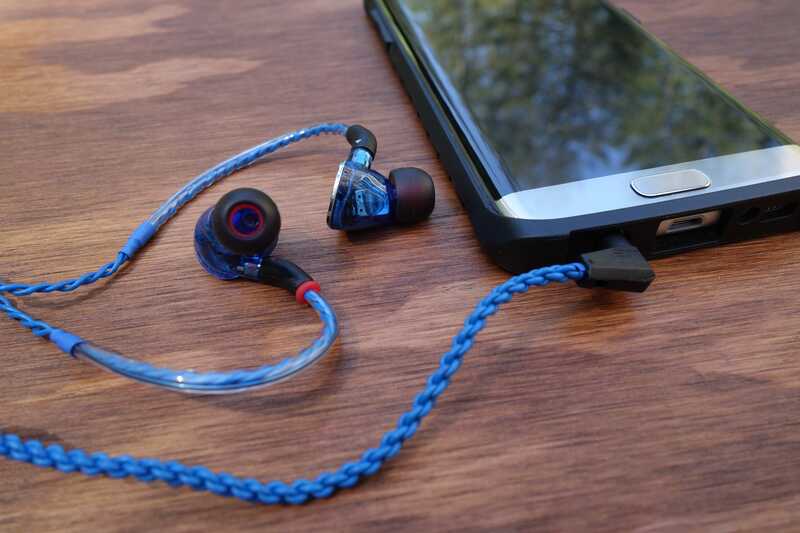 I’m glad that Ultimate Ears has a killer universal earphone that can stand up with its high-end lineup. You can't go wrong with the UE900s. They pack expertise from Ultimate Ears, which means a though-out design and killer sound. 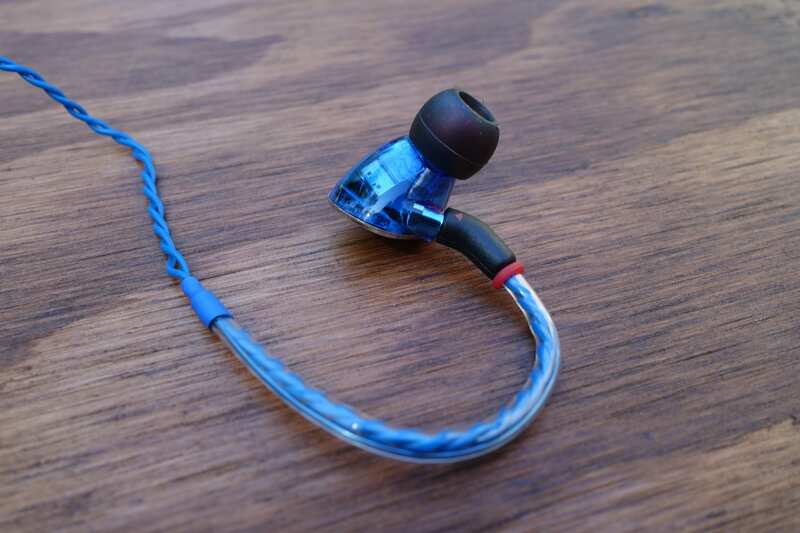 The brand is more associated with custom in-ears, but this universal earphone fits like a glove (especially with the multitude of included ear tips sizes). 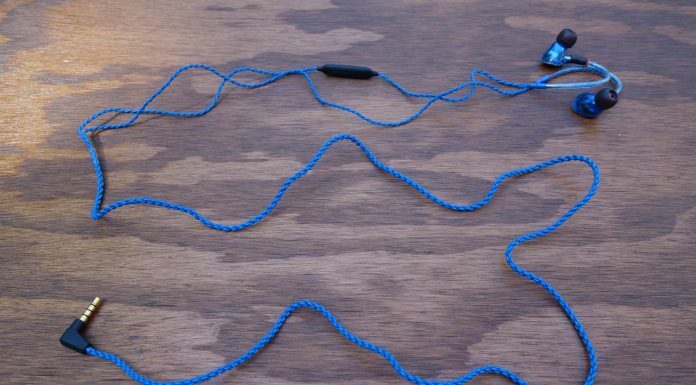 The braided, tangle-prone, blue cord may not be for everyone, but fortunately, a removable design means that you can swap it for another.